The Chiltern radiator cabinet is available in a range of standard paint finishes & also available colour matched to your requirements. Also available in a choice of wood finishes eg Oak, Mahogany, American black walnut etc etc. 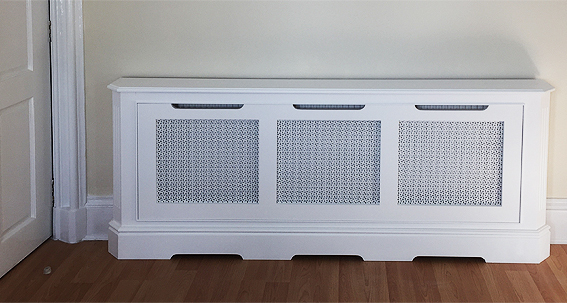 All of our radiator covers have a furniture quality finish and will withstand high heat without any adverse effects. The Chiltern radiator cover is very similar to our Malvern radiator cover but with the addition of a fully removable front panel which is held securely in place with magnetic catches.